VMware has revealed a slimmed-down, cloudy, slightly-hipsterised (see image below), version of its AirWatch mobile device management (MDM) suite. 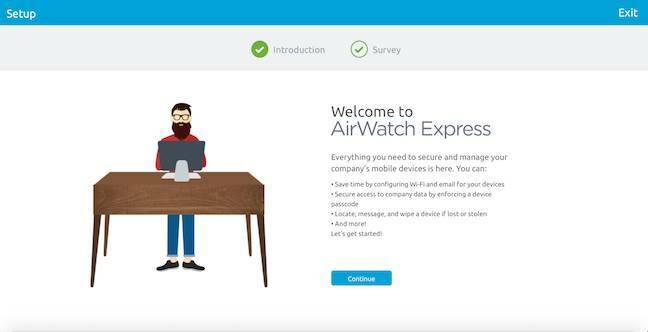 "AirWatch Express" is billed as suitable for smaller businesses who lack a dedicated IT department but still like the idea of MDM to ensure the mobile devices their staff wield don't go awry. The new as-a-service service offers an almost cartoon-like interface and is suggested as the foundation of a future enterprise mobility management strategy.